The 'ecological crisis' is one of the most important issues of our time. Since the beginning of the 21st century there has been a boom in environmental documentary films in which these crises are made visible, for example with regard to deficits in food industry and livestock farming, food waste, the impact of industrialized land management on climate change and biodiversity, and the pros and cons of genetically modified food. 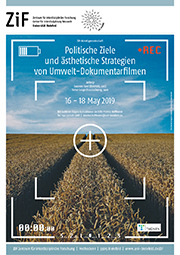 This workshop examines the aesthetic strategies and political goals of such documentaries bridging the traditional gap between cultural studies and natural sciences: agricultural science and biology have the expertise for the production site of environmental knowledge, while media studies analyze aesthetic methods of its communication. 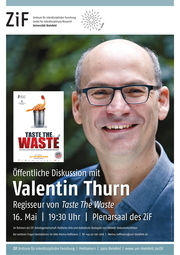 Ethical questions about values of nature/environment, animal/human life and biodiversity will also be discussed. In addition, two directors will contribute their practical experience in the realization of environmental films. Please direct questions concerning the organisation of the workshop to Marina Hoffmann at the Conference Office. Questions regarding scientific content and contributions should be directed to the organizers.